With over 15 years of real estate experience, Courtney understands the importance of adapting real estate practices to the current market climate to most effectively meet buyer and seller needs. Her tailor-made approach begins with listening to her client’s goals and creating a plan of action. With patience, market knowledge, and Through her genuine passion Courtney Tauriac excels at “Making Dreams Come True.” Specializing in Residential, Luxury, Historic Homes and Investment Properties, she takes great joy in sharing her intimate knowledge and valued insights into the Greater Dallas and East Dallas real estate market. She exhibits a passion for architecture and interior design together with a deep understanding of aesthetic composition, construction and value. Deeply valuing the special connection with her clients, Courtney constantly orchestrates the most rewarding real estate experience possible. Courtney is highly skillful in leveraging each opportunity to the benefit her clients. She carefully and accurately addresses each important issue of the transaction and offers a more complete perspective and in-depth assessment of the current market trends. Whether it’s establishing a marketing plan, showings for a property, staging a listing to making it shine or helping a buyer understand the full scope of restoring a historic period home, she brings all the elements perfectly together with a positive result. Courtney’s clients enjoy her personal touches and appreciate her genuine, deep commitment and heartfelt care and compassion that she clearly exhibits in every interaction. She is always quick in establishing an excellent working relationship with the cooperating listing or selling agent in order to arrive at the best terms and when met with a tough challenge, multiple offers or a possible deal breaker; she is highly proficient in creating equitable solutions. In indulging her clients with sophisticated, first class service, Courtney readily delivers results that are beyond their expectations and value the friendship that continues well after the keys exchange hands. In working with Courtney, her clients receive a special advantage of two professionals. 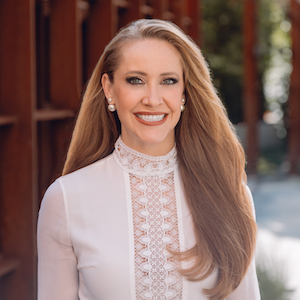 Courtney collaborates with her partner Crystal Gonzalez in a team approach to deliver a truly comprehensive real estate experience to their valued clients. Servicing their clients as a team, Courtney’s and Crystal’s efforts complement each other to ensure that their client’s needs are thoroughly attended to. Contact Courtney to serve you and your personal real estate interests.